Hello everyone! First of all, we want to inform you that, there are two authors who managed to write articles on this site and are enthusiastic in Blogging, Technology and Web Designing. One of us is graduated now and another one is on the process of graduating. We do relate the feelings with words. Being a novel lover, we had read many people's mind through text and want to extract those words with full of feelings. We're residing in Nepal of Kathmandu District. How did we Start Blogging? I have watched "THE GREAT GATSBY" movie in 2015 and I found that movie so realistic to me. After that, I have read the novel of the same title that movie had and I was much inspired to express the feelings by words. 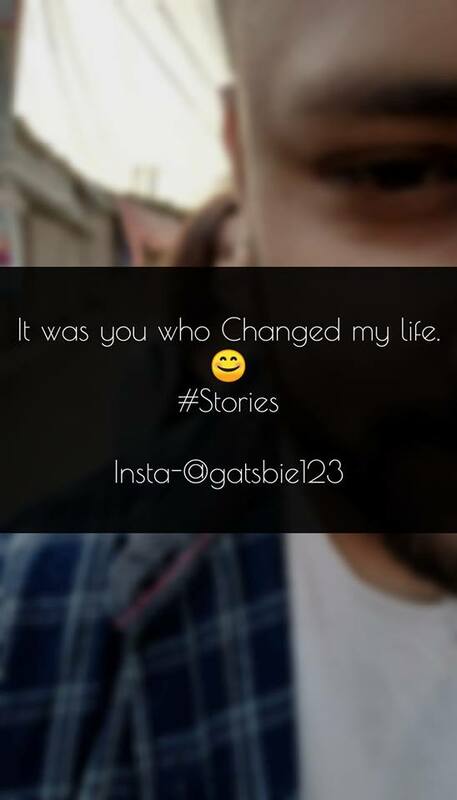 I started posting stories as a status on social media and I have gained more love via readers. On this regard, I have met a brother in social media and he helped to customize this site and is still helping by posting articles. That's why I thought about the blog where every reader could find realistic stories about their life and here we two are in a team. Here in the blog you can get most of the relatable stories that you have faced in past life and going to face in your future life. What type of Contents will you find in this blog? Well, as I already mentioned, I was inspired by the movie and novel of the same title, "THE GREAT GATSBY" which describes the love and relationship stories and fails to make his girlfriend a life partner and I found my life as his failure life. So, this blog is named after that movie, you will find the relatable, realistic love and relationship stories which also includes Motivational Stories, Writer Stories, Success Stories, and Humanity Stories as well. Why do we start Blogging? As I had already mentioned, I love to extract the feelings through words and I had gained so much support from social media to write the relatable stories. Hence, I would like to go with that type of own flow. When did we start Blogging? We have created "THE GREAT GATSBY STORIES" since half of November 2018.